Maritzburg United were unable to find top gear in Cape Town and had to settle for a 0-0 draw in their match against Ajax on Saturday night. There was an early chance for Ajax’s Tashreeq Paulse, but his first minute shot rolled just wide of the right hand upright. While the Team of Choice at times played some neat football, they were unable to carve out any clear cut chances on goal. With 23 minutes gone Nathan Paulse took up a good position in the Ajax box, but he was unable to get on the end of a dangerous looking cross from out on the right flank. The remainder of the half saw play going from end to end as both sides showed their attacking intent. But neither of the two goalkeepers, Anssi Jaakkola and Virgil Vries, had to make any noteworthy saves as chances remained at a premium. Three minutes into the second half and the KZN side were inches away from breaking the deadlock when John Paintsil’s header from a free kick skimmed off the crossbar and out of play. Ajax had an equally good chance when Bantu Mzwakali broke through the middle of the Maritzburg defence after 55 minutes, only to roll his shot tamely at Vries. It was then Ajax’s turn to attack as Cecil Lolo dipped a free kick just wide of the target before Paulse’s loping header narrowly went over the goal. The Team of Choice had to play the final 20 minutes with just 10 men following the 71st minute dismissal of David Booysen for a second yellow card. This enabled the Urban Warriors to gain the upper hand and the Cape side were nearly in front when Clifford Mulenga’s 81st minute drive whistled past the upright with Vries well beaten. That proved to be the last major chance of the game as the match ended 0-0, a fair reflection of the game. 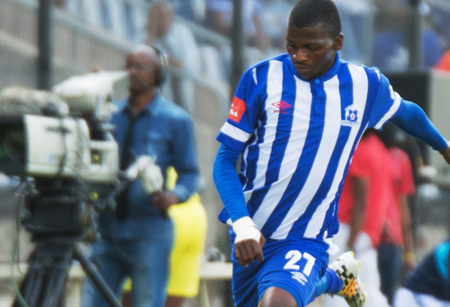 Win a Signed Maritzburg United Player's Jersey Every Month!